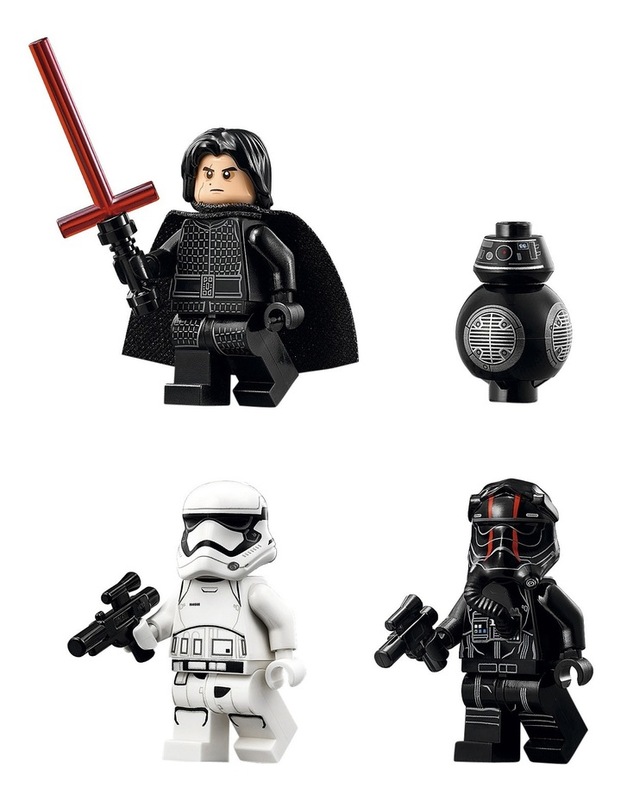 • Includes 3 minifigures: Kylo Ren, a First Order TIE Pilot and a First Order Stormtrooper, plus a BB-9E figure. 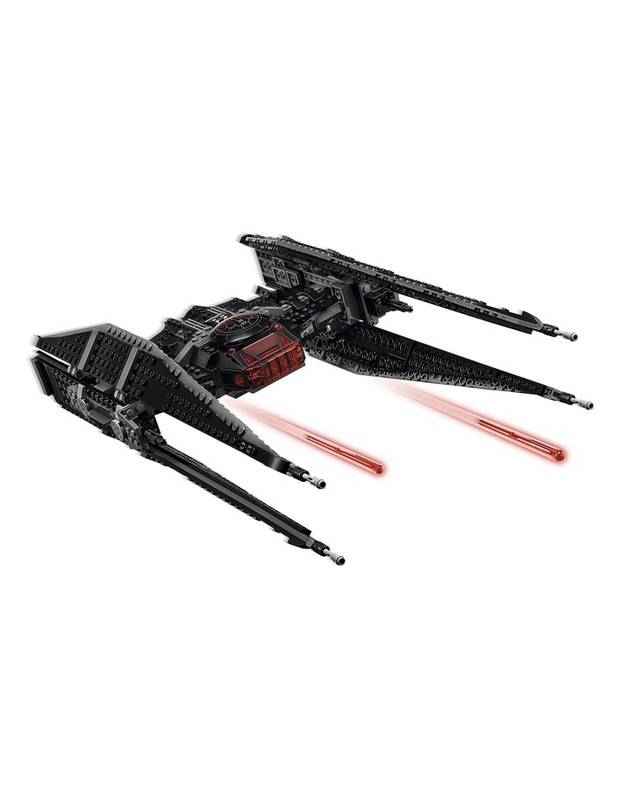 • Features an opening minifigure cockpit, large wings, red exhaust detailing and 2 trigger-activated spring-loaded shooters. 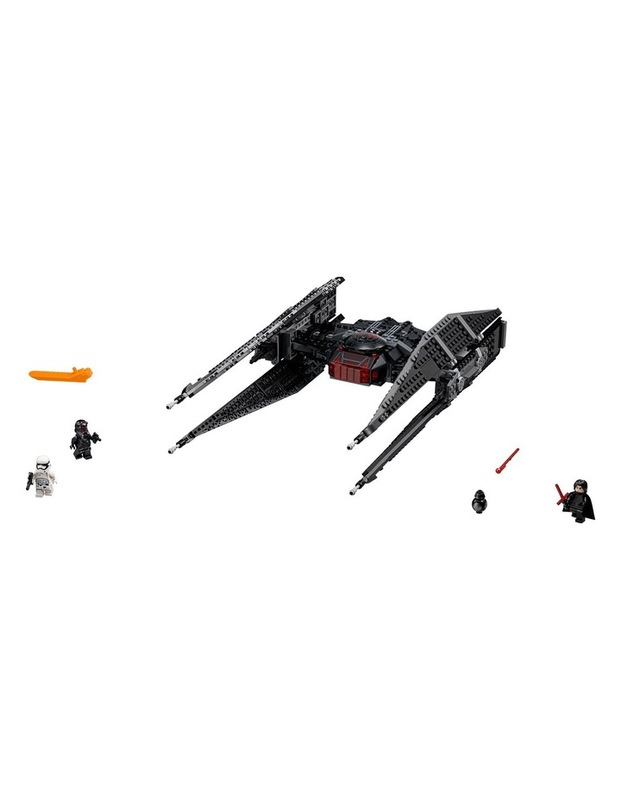 • First Order TIE Pilot's helmet features new-for-September-2017 red-stripe decoration. 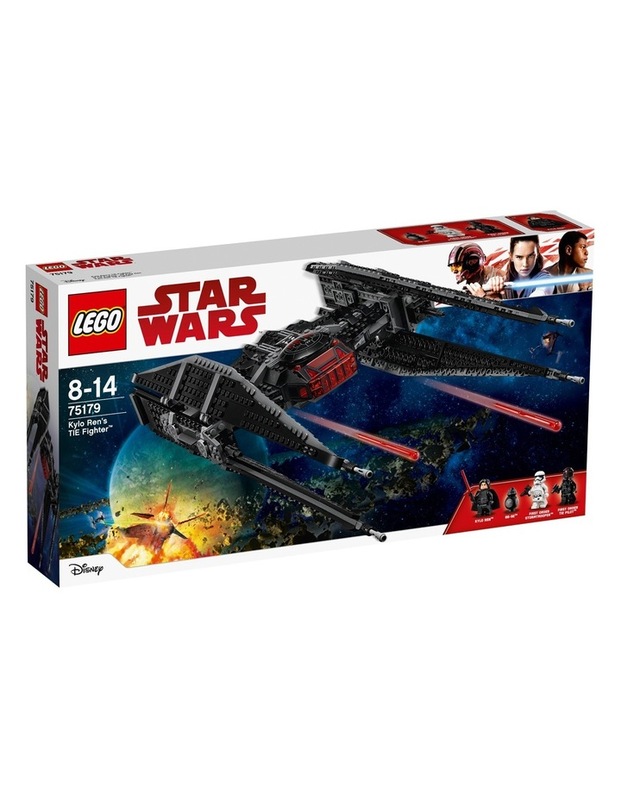 • Weapons include Kylo's Lightsaber, a blaster and a blaster pistol. • Push the triggers on top to fire the spring-loaded shooters. Measures over 4 (12cm) high, 16 (41cm) long and 9 (23cm) wide.